The Samsung Galaxy A7 has been updated for 2017 and here we take a look at this latest Samsung smartphone to see what if has to offer. In our Samsung Galaxy A7 2017 review we get a peak at the fantastic camera features with Samsung making the unusual move to have equally good cameras on both the front and back of the device. The Galaxy A7 may not be the top-end of the smartphone market like the Samsung Galaxy S7 but this phone has a decent design that feels good quality and durable. The phone is water-resistant and is even able to withstand being in water of up to 1.5m deep for up to 30 minutes making it survive more than just mere splashes and the odd drop of rain. There are many design elements that make the phone feel like a higher-end model than equivalent phones from other manufacturers including the use of 3D glass on the back and a metal frame. The camera module has been seamlessly incorporated into the back of the phone so there are no protrusions along the edges making it sleek and stylish. The large 5.7-inch display is a Full HD Super AMOLED screen which performs as you would expect from a Samsung display with vibrant and rich colours along with impressive detail from all viewing angles. Under the hood there is a 1.9GHz octacore processor and an impressive 3GB RAM and with all the power this phone was fantastic to use with quick app switching and seamless performance. Samsung has incorporated a fingerprint sensor for keeping the device secure and this can be used to access a Secure Folder where files can be kept such as private data, photos and more for added peace of mind. The Galaxy A7 2017 has an Always-On Display so you get to see a snapshot of information without the need to keep waking the device up, this display can be customised to your own preferences such as calendar notifications and the time or notifications from apps. Many of the familiar Samsung features are included such as S-Voice, Samsung Pay and Samsung KNOX security along with all the expected pre-loaded apps you would expect on an Android 6.0 smartphone. 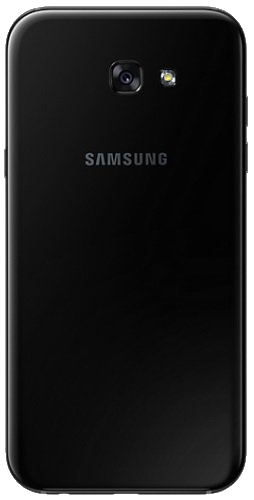 The phone has a 32GB memory on board (23GB available for use) along with a MicroSD card for adding additional space and users can also back up information on the Samsung Cloud (15GB included for free). The power unit used on the A7 2017 is a 3,600mAh battery which promises longer lasting use and delivers quick charging with Fast Charge through the USB Type-C port. The statistics on the battery show that it can offer up to 59 hours of music play back and up to 17 hours of Wi-Fi internet browsing. Samsung has opted to put a 16-megapixel camera package on both the front and back of the phone giving excellent results in both selfie shots and taking in the world around you. The cameras are low light lenses with f1.9 aperture for excellent performance when snapping a selfie or taking the scenery. The cameras each use a simple system that allows you to swipe to find the shooting mode you want or to choose filters for images. There are lots of different options when it comes to tweaking your photos with various photo effects such as Classic, Cosy or Maple as well as Food Mode for adding warming colours to your shots of your culinary masterpieces or restaurant meals. 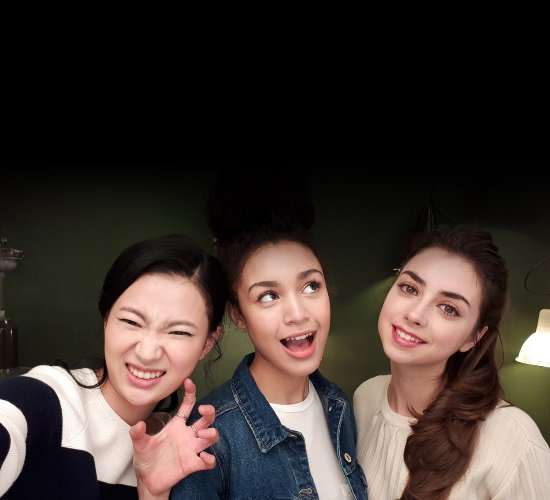 The phone display acts as a flash for photographs taken on the front camera for illuminating your selfie and both cameras can capture video at 1080p. The Samsung Galaxy A7 2017 delivers great mobile photography from both sides and the impressive design and powerful technology packed within make this phone an impressive package and a great choice for your next smartphone if you don’t want to pay flagship prices.